Features: 1. 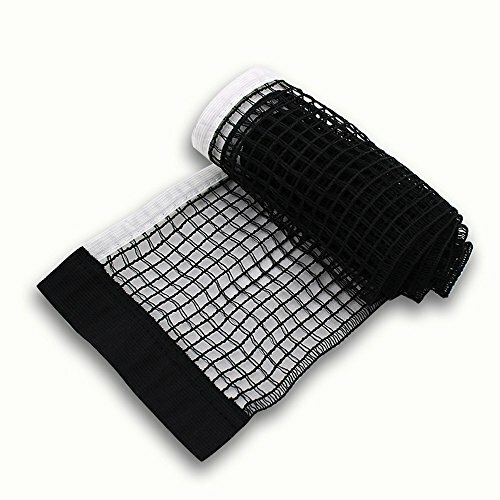 PREMIUM MATERIAL: The table tennis net is made of high quality nylon material, which is durable, lightweight and portable. 2. SUFFICIENT LENGTH: The table tennis net length is 1.72 meters, so you can adjust it to a suitable length according to your table. 3. EASY TO CARRY AND STORE: With its lightweight and portable, it is easy to carry and store, and you can take it in anytime, anywhere. 4. WIDE APPLICATION: It's suitable for amateur competition, training and daily activities. It will be a great accessory for ping pang. 5. GUARANTEE: If you are not satisfied with our product you received, you can send email to us at any time. We will reply you instantly and help you solve your problem. Specifications: Material: Nylon Color: Blue Weight: approx. 35g Length: approx. 172cm / 67.7" Height: approx. 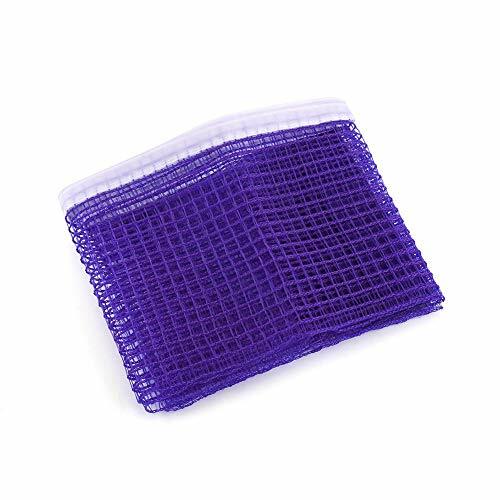 14.6cm / 5.7" Package Included: 1 x table tennis net Note: 1. Please allow 1-3cm error due to manual measurement. Thanks for your nderstanding. 2. Monitors are not calibrated same, item color displayed in photos may be showing slightly different from the real object. Please in kind prevail. Good choice for table tennis players. Easy to use with the clamp fix on the table. 1.75M long net is suitable for most of the tables. Note:Table Tennis Net ONLY, Clip Post is not included here."